1 Who is Erin Andrews? 2 The Riches of Erin Andrews? 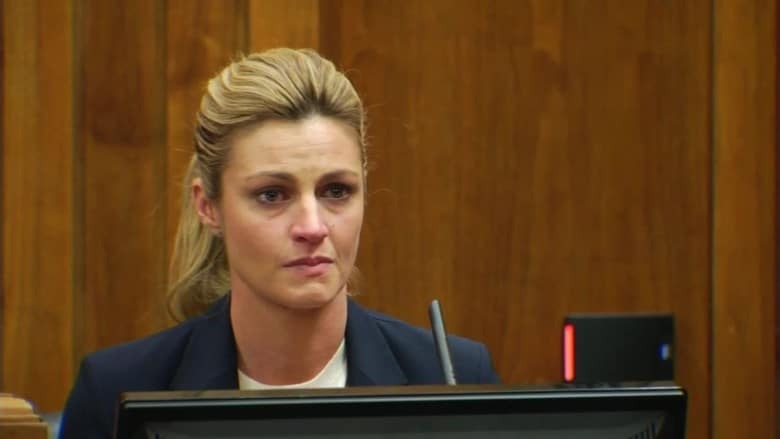 Erin Jill Andrews was born on 4 May 1978, in Lewiston, Maine USA, and is a television personality and sportscaster, perhaps best known for being the host of the popular reality television competition series entitled “Dancing with the Stars”. She also serves as a sideline reporter on Fox NFL. #FBF Always fun to be with the @nflonfox family ??? The Riches of Erin Andrews? How rich is Erin Andrews? As of mid-2018, sources estimate a net worth that is over $20 million, mostly earned through success in her numerous broadcast journalism projects. She reportedly has a current salary of $2 million annually, so as she continues her career, it is expected that her wealth will also continue to increase. Erin was born into a family of broadcast journalists, with her father being a six time Emmy Award winner for his investigative journalism work as a part of NBC. With his jobs the fsmily moved to San Antonio, Texas, then Valrico, Florida where Erin attended Bloomingdale High School. She grew up also involved in sports, and loved watching National Basketball Association (NBA) games. She became interested in sports casting, after observing several popular female sportscasters such as Hannah Storm, Melissa Stark and Lesley Visser. During her time in high school, she was a member of the school’s dance team and student government. She often became friends with boys as she enjoyed talking about sports, infsact describing hers elf as a tomboy. She matriculated in 1996, and would go on to attend the University of Florida, graduating with a degree in Telecommunications; she was also a member of the Florida Gators Dazzlers dance team. She then went on to work as a freelance reporter, and covered various sports teams based in Atlanta, also reporting for Fox Sports Florida. In 2004 Erin joined ESPN, initially reporting for “ESPN National Hockey Night”. She would also progress to become a part of various other ESPN programs, including “ESPN College Football Saturday Primetime”, and “ESPN College Football Thursday Primetime”. She also cover Major League Baseball (MLB), the Scripps National Spelling Bee, and the Little League World Series. She would go on to make guest appearances in several TV talk shows too, including “The Oprah Winfrey Show”, and “Jimmy Kimmel Live!” In 2010, she made her first appearance as a part of the 10th season of “Dancing with the Stars”, in which she competed and reached third place. In 2011, she landed a sponsorship deal with Reebok, and the following year left ESPN to join Fox Sports, becoming the host of the “Fox College Football” show as well as appearing in “Fox NFL Sunday”. She gradually expanded her coverage, including MLB, NFL, and the Daytona 500 motor race. In 2014, she was then announced as the replacement for Brooke Burke-Charvet as the co-host of the show “Dancing with the Stars” beginning with its 18th season. Just a few months later, she also became a part of Fox’s lead NFL broadcasting crew. One of THE best on and off the field @laflamablanca95 @philadelphiaeagles @nflonfox #eagles ?? It is known that Andrews began a relationship with professional hockey player Jarret Stoll in 2012, and they became engaged for years later. They married in 2017, and now live together in Los Angeles, California with a golden retriever named Howard. Before their marriage, she was diagnosed with cervical cancer and underwent two surgical procedures before being declared cancer-free, after which she partnered with the company Hologic to launch a campaign to increase awareness of cancer, encouraging women to have annual check-ups. Erin’s life in 2008 was plagued by a stalking incident, in which a man named Michael David Barrett set up hidden cameras in her hotel rooms in two incidents. The first happened while she was staying at the Radisson Airport Hotel, and the video of her naked went viral and spread through the internet. A second tape was later discovered, and subsequently the FBI would arrest Barrett for interstate stalking. He was later sentenced to two years and six months in prison, and would serve his sentence until 2012. It did not stop there, however, as Erin would go on to sue him along with Marriot International, Radisson Hotels, and five other entities for negligence and invasion of privacy. She alleged that hotel employees gave Barrett information about her hotel stay, and gave away a room next to hers. She followed it up with a complaint in 2015 asking $75 million in damages from both Nashville Marriot and Barrett. The following year, after a two-week trial, she was awarded $55 million as the jury found both the hotel management company and Barrett fully responsible for what transpired.